Of course, feel free to share it! Thank you very much Erwan, your review is really thorough! May I transfer it to our forum? I was sent the VidOn box for a review a few weeks ago. I must apologize to the people at VidOn here for the time it took me to get to this review, as the box reached my place almost 2 weeks ago. There are literally hundreds of TV set top boxes on the market today, with prices ranging from $35 to $200, and it’s difficult for any customer to make the right choice. The majority will probably go to a box under an ecosystem they already know, such as an Apple TV, or a Fire TV. 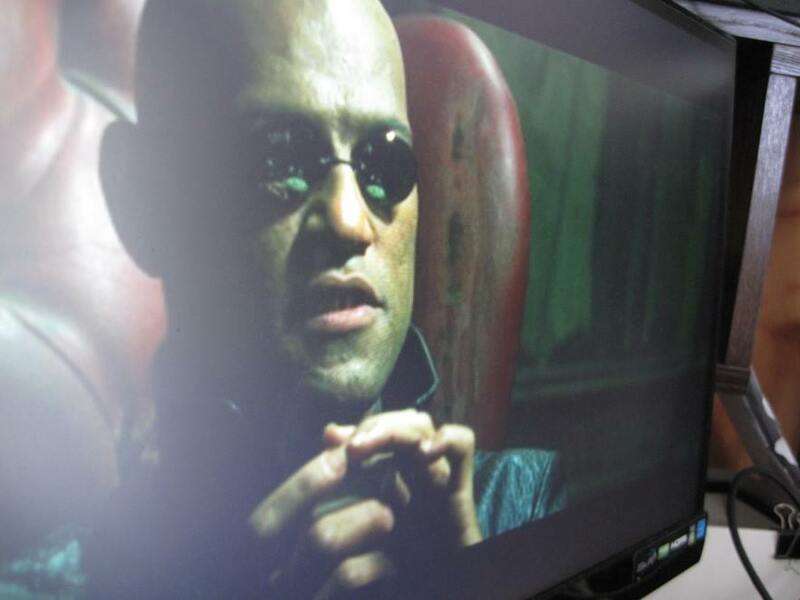 But for those of you who want a bit more flexibility, an Android set top box might be the right solution. I’ve reviewed several Android boxes from Chinese manufacturers in the past, but the VidOn box, with its heavily customized Android and XBMC ports, tries to differentiate itself from the pack. Let’s see how this goes. Being used to somewhat cheap android boxes made of plastic with very minimal packaging, I was pleased to find the VidOn box to be properly wrapped in some black cardboard, and with an included “membership card” (that will be used later to unlock some premium features on the box). It might remind some of you of the Fire TV, or the OUYA packaging, in that regard. All of these boxes share the goal of being a “premium” Android experience with a tweaked interface. The device itself feels pretty nice, with an aluminum finish, and a color that somehow reminds me of hi-fi hardware from the eighties. Overall, the product feels nice and solid, better than your average Android box, but maybe not as nice as, for example, the Amazon Fire TV. The first run of the device was, honestly, a bit frustrating: it initially refused to work with my TV (from 2006) which said it was receiving an incorrect signal. This could be a fluke, my TV has done that in the past. The device had no issue running on another monitor, where I performed the rest of the tests. Once plugged in, things are pretty much straightforward, but also, here again, a bit frustrating: I had to fill the initial setup information a total of 3 times, as the device kept detecting new updates each step along the way. All in all, it took almost 1h for me to reach the main screen the first time. Now, this is a double edged sword here: the box ships with a bunch of preinstalled apps, improvements over a vanilla Android install, and tries to automate things as much as possible for the neophyte user. In that regard, I feel that the VidOn is on the right path: nice looking icons, straightforward setup, and once you’re running the main screen, you can almost instantly run Netflix, XBMC, youtube, and hulu plus. (a vanilla android box would require you to download all of these from the play store, which can be an adventure on its own for someone not familiar with Android). The drawback of all this user friendliness, of course, is the time it took me to reach the main screen. But I reached this screen with the confidence that I had the latest XBMC version installed on the box, which is a very good point, I guess. as I mentioned, the VidOn box tries very hard to provide a user friendly interface, by hiding some of the most “user unfriendly” things that can be found on android. They provide a remotes with the device, unfortunately like for many other android boxes, the remote feels like it’s not adapted to a smart Tv box. Don’t get me wrong, I’ve seen way worse remotes out there, and it is nice that they include a way to control the box (otherwise you’d have to plug in your own mouse or keyboard through the USB interfaces), but you’ll probably stop using the remote very soon, in favor of your controller of choice (I personally use the Logitech K400). The remote looks a lot like the Fire TV remote (minus the voice interface), so it looks alright, sadly it has a terrible range, and will not work if you are not properly facing the box. In that aspect, I’ve seen way better. Once you got used to the remote, or start using an alternate way of controlling the device, things get reasonably easy to navigate. I’ll note however that somehow my keyboard did not get recognized “properly” despite being adapted to Android, so some of its most useful keys such as the “volume up/down” or “home” buttons don’t work. That’s a shame, especially since I’ve never had that issue on any Android box before, so I’ll blame this on the VidOn tweaks. That being said, I easily felt at home with the navigation, and switching between XBMC and other apps was easy enough. Speaking of other apps, the VidOn box is compatible with the google play store. 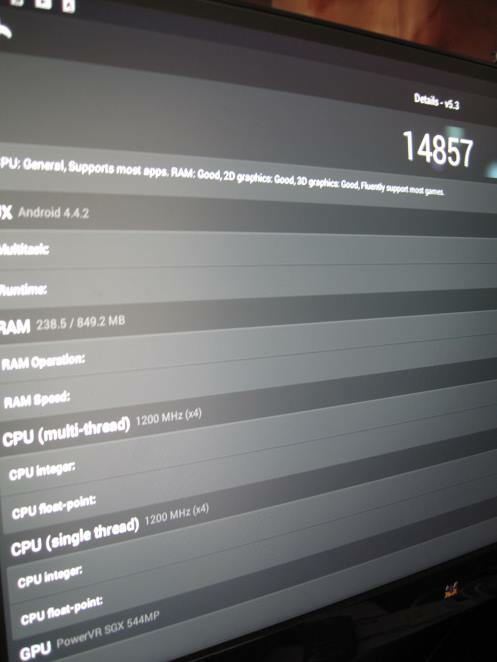 I did not take the time to test all my favorite apps this time, but Antutu Benchmark for example installed and ran without a problem. As I’ve stated above, the box ships with preinstalled versions of XBMC (2 of them, for some reason… more on this below), Netflix, Youtube, Hulu plus, Pinterest,… you could get all of these from the google play store, but it’s really nice (especially for novices) to have them here directly. More interestingly, the apps are actually not preinstalled: clicking on them the first time will download them, showing a nice progress bar, and then making them ready to run. (people who have used a kindle tablet in the past will probably recognize that system, where an app you “own” is on the cloud but not on the device, meaning it needs to be downloaded before you can use it. Very user friendly IMO). 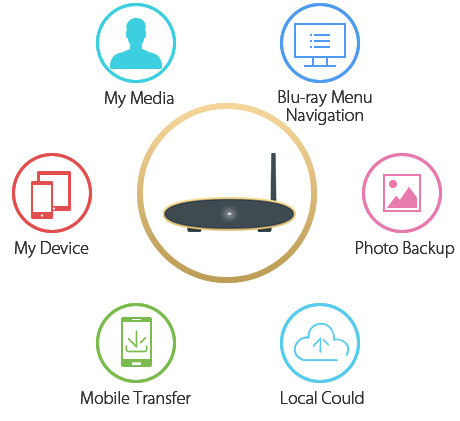 Bottom line is you can probably use any app you’d use on another android box here. I’ve used my android boxes as FTP servers for the family and torrent download machines in the past. 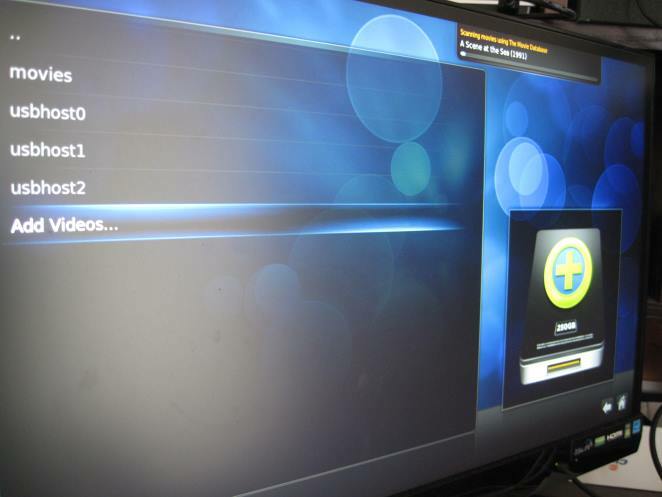 The VidOn box offered great performance with their tweaked version of XBMC. As a matter of fact, I have never seen another android box with such “out of the box” performance: the VidOn box would play everything I throw at it without a bit of a lag. Even the cloudnet go CR13, which I reviewed recently, required some significant tweaking of the XBMC options before it would play HD video properly. Netflix also played properly and without a lag, although, as for any other Android box, it will not support anything over 480p (this is a Netflix contractual requirement, if my understanding is correct). Video performance on the VidOn box is simply very good. For the selling price of $69.99, this makes it one of the best boxes in its price category, if not the best (but at $79, the fire TV is a serious competitor). In terms of raw performance, the VidOn feels a bit “last gen”. With an Antutu score of less than 15’000 (the Cloudnet go CR13 had more than 35’000), this is not a “gamer’s” box, although you’ll be able to play some of the less demanding Android games on it (assuming you pair it with one of your blutooth controller, or a usb controller). As long as you dedicate it to movies, music, and a bit of internet browsing, though, you should be fine. Antutu results. 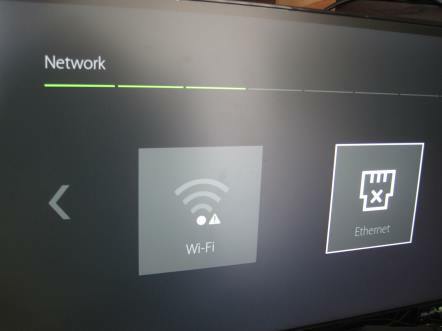 Although great with xbmc, the ViOn box will show some limits with last gen Android games. you get what you pay for. The problem I have with these features is twofold: one, most of them are missing at the time of this review. 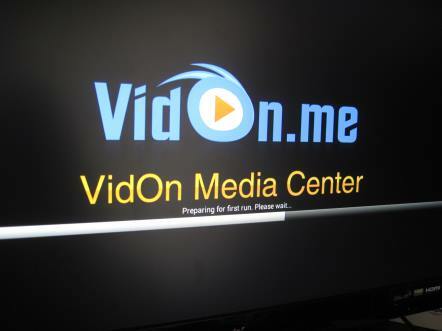 The Vidon team has been delayed on some of their features, and tried to focus on the “core” xbmc experience. This is great, but it means I can’t review them for now. The second issue, maybe more important but more subjective, is that I’m not sure I’d be willing to pay a yearly fee for these features (just to be clear: the box WILL work perfectly fine even if you don’t subscribe to the premium membership, only the “extra” features will be missing). Blu-ray menu navigation, for example, assumes that I have isos of my blu-ray discs lying around. And I’ll be honest: I don’t have that. I surely have high quality MKV rips of my movies, but I didn’t get through the hassle of ripping the entire disc’s menu, and my experience is that few people do that. Ripping a blu ray iso is not as easy as it might seem, it takes time, space, and resources in general. I wanted to give it a try, in order to test the feature, but given that it was going to take hours for just one disc, I gave up. Yes, movie lovers would probably love to be able to navigate their entire blu ray rather than just the main movie (I have a great Alien Anthology series of blu-rays that I would love to see organized better in XBMC, for example…), but for the general public, XBMC works fine and does what people expect from it, so I fail to see the use for the blu ray navigation (or, rather, I don’t see it as a major selling point). Other features such as cloud storage, and (presumably) cloud-based playback of your own files could be great. I somehow doubt that VidOn will be able to pull something good enough that it justifies a $15 yearly fee… All I can say for now is that this is promising, it is great to see an Android box trying to do more than just a vanilla Android experience, but at this point this is just wishful thinking. For $69, the VidOn box is a terrific XBMC/Kodi box, well worth its price. As far as “other” features are concerned, my opinion is much more mixed. People who want a solid ecosystem will most likely go to amazon’s Fire TV, or an Apple TV, rather than trust a small company with “promised” features. People who want a flexible Android experience will instead prefer one of the other “vanilla Android” boxes that does not tie them to the specific interface chosen by this company. As such, the VidOn kind of “sits in the middle” and it is difficult to picture what audience it really targets. Overall though, given its small price and the great XBMC experience, I recommend this box. For less than $70, only the Fire TV really competes, but if you want a good XBMC experience, the Vidon box wins. For the rest, time will tell if it is worth taking a membership subscription once the features are there.